If you're in Paris right now, this is very exciting news (or maybe old news). For paisley junkies in the U.S., the alert is still great but a little frustrating, too. 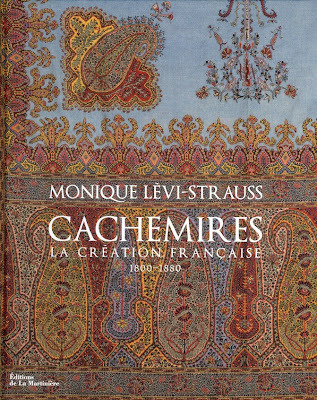 As reported by shawl authority Judy Wentworth in Hali's fall 2012 issue, there's a highly collectable new book out by the prolific Monique Lévi-Strauss. 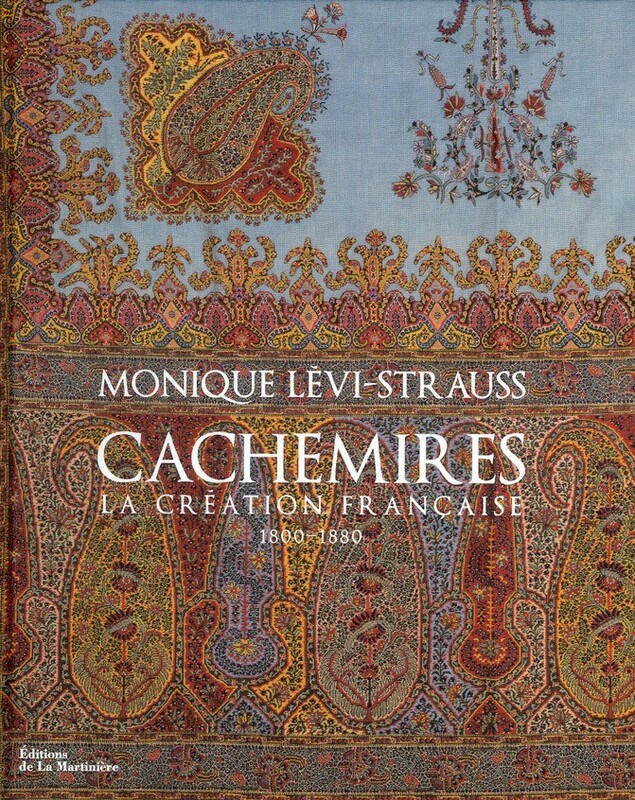 Known to many as the grand dame of French cashmere shawls -- those densely and richly patterned 19th-century cashmere shawls that evolved from Indian textiles -- Lévi-Strauss has been a longtime collector, researcher and curator. Her latest volume, Cachemires : La création française 1800-1880, represents more than 30 years of study and is said to be sumptuously illustrated (I haven't seen a copy in person yet). As far as I know at this point, only a French edition is available. Obviously the book can be ordered from overseas but hopefully it won't be long before it is distributed on this side of the Atlantic as well. Oh, so frustrating! I feel like this happens all the time, a great book comes out, but one can't easily get one's hands on it!